So this week was a pretty busy week with fashion week, I will be blogging on some shows I have attended to. The first catwalk show I have been to was the Soojin Lee AW15 Collection show. 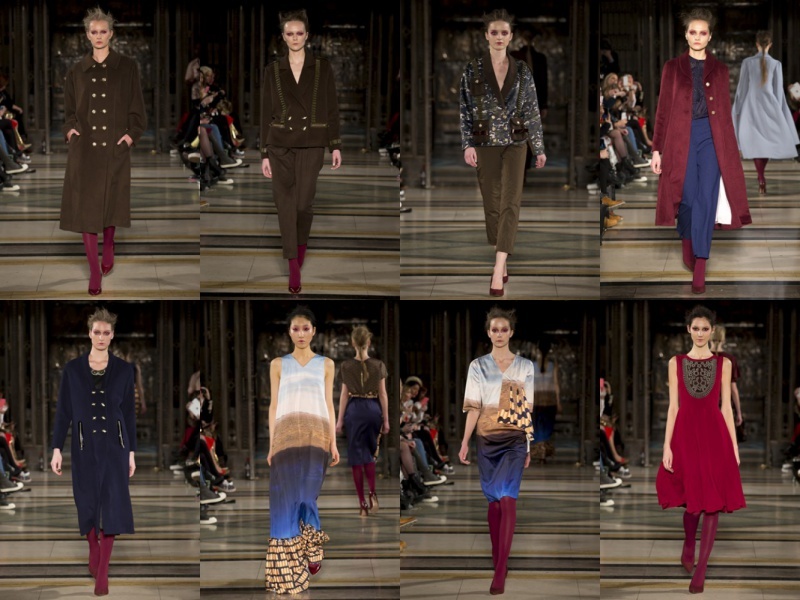 The collection was a mix of military style, feminine floral and some apparition of blue and burgundy colours. My favourite pieces from the collection are the jackets, especially the short military jackets on Look 1 and 2. I mean they are everything, you can wear them with practically everything. I absolutely loved the collection and those looks are my selected ones. I love the colors of this collection. I'm a sucker for anything khaki so this is my mind of collection! Love that red trench coat in the top left perfect for autumn!